Trenbolone hexahydrobenzylcarbonate is a slow-acting injectable ester of the potent anabolic steroid trenbolone. Trenbolone appears most commonly as trenbolone acetate, which is a much faster-acting form of the drug (see: Finajet). The hexahydrobenzylcarbonate ester used here extends the release of trenbolone for more than 2 weeks, which has always been thought of as more suitable for human use due to the less frequent injection schedule. The base steroid trenbolone is roughly three times more androgenic than testosterone, making it a fairly potent time androgen. It also displays about 3 times greater building activity in comparison to its androgenic properties, making its official classification as that of an use anabolic steroid. 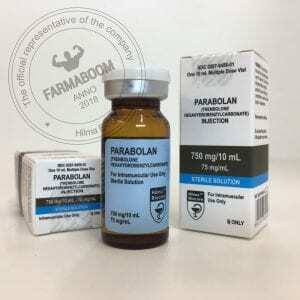 The muscle-building effect of trenbolone is often compared to such popular bulking agents as testosterone or Dianabol, but without the same estrogen related side effects. 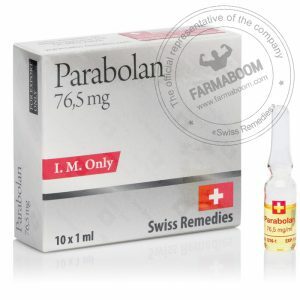 It is most commonly identified as a lean-mass-building drug, and is extremely popular with athletes for its ability to promote the rapid buildup of strength, muscle size, and definition. 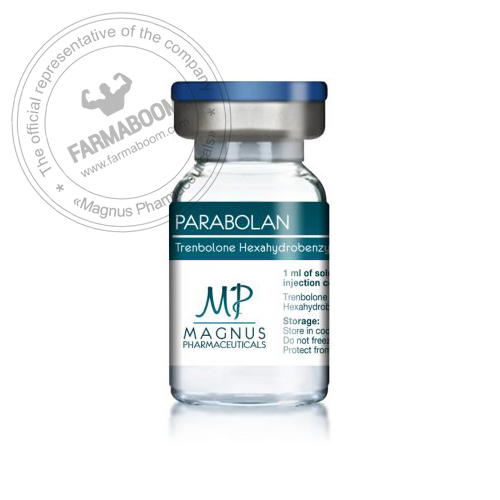 Trenbolone is not aromatized by the body, and is not measurably estrogenic. It is of note, however, that this steroid displays significant binding affinity for the progesterone receptor (slightly stronger than progesterone itself). The side effects associated with progesterone are similar to those of estrogen, including negative feedback inhibition of testosterone production and enhanced rate of fat storage. Although classified as an anabolic steroid, trenbolone is sufficiently androgenic. Androgenic side effects are still common with this substance, and may include bouts of oily skin, acne, and body/facial hair growth. Anabolic/androgenic steroids may also aggravate male pattern hair loss. Women are also warned of the potential virilizing effects of anabolic/androgenic steroids. These may include a deepening of the voice, menstrual irregularities, changes in skin texture, facial hair growth, and clitoral enlargement.